Lists the Library business hours during the semester and holiday periods. 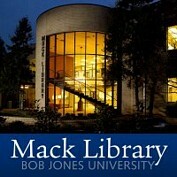 Please return books at the Mack Library or via the Mack Library bookdrops. Open seven days a week for the return of books, CDs, etc. Inquire at the Circulation Desk during library hours.